Like most of my programs, these will be an ever-growing collection overtime. Do to the near infinite setup possibilities, I have created this POLL to help get user input. Who better then you to help steer the direction of this collection. Pick your most desired setup. Once your program manifests itself into reality, feel free to change your vote. UPDATE 7/20/11: Updated Attack/Release accuracy. All existing customers are recommended to Download/Update. * The 165 changed the method & usage of audio compression when released. The 165 vca design was a 1st in the industry & set the standard for countless compressor designs afterward. * Captured via Lynx conversion @ 24/96. * 165a LoFi – Free Download – LoFi FX compressor. * Understanding compression is equal part science & art. 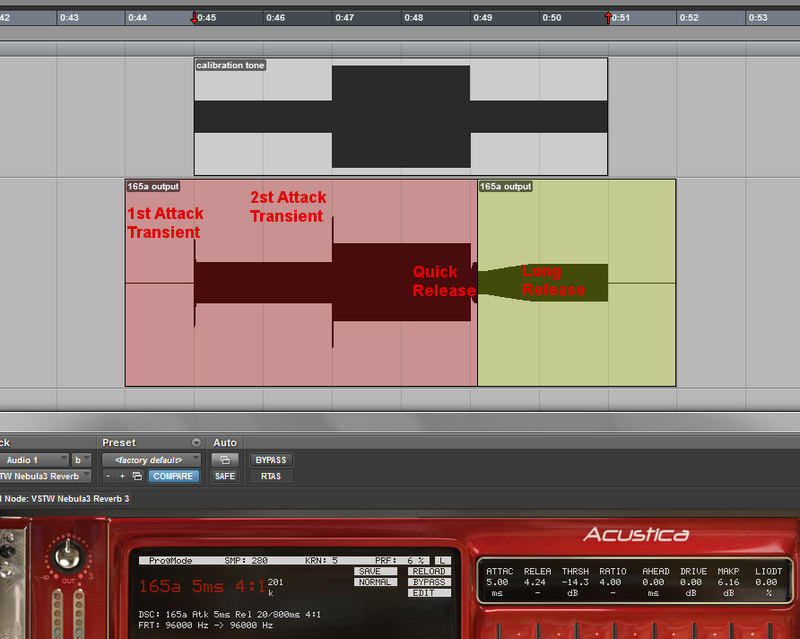 For those new to compression I recommend adjusting the THRESHOLD & INPUT to set the desired amount of compression. Use your ears not your meters. Dial in the RELEASE to shape & color your sound. Fast release times can really smooth things out. It's equal part saturation & peak limiting combined. Longer release times can emphasize the attack transients. Use the MAKEUP GAIN to set your final output level. Most importantly experiment. * The 165a is an excellent Channel or Bus insert. It can be the perfect solution for anything requiring more punch & presence. Last edited by rhythminmind on Thu Jul 21, 2011 3:32 am, edited 26 times in total. whoa, the 165a is my favorite compressor. Am curious to check this out. I notice you've got the automatic attack/release setting activated in your photo. I always enjoyed running this unit with that control engaged. burnsound wrote: I notice you've got the automatic attack/release setting activated in your photo. Oh that's right, the light would be brighter, been a while since I've seen one in the flesh. Yeah, it is too bad that setting can't be sampled. this sounds very interesting!! Whats the ETA on this? FATE is great but i'd like to have another Nebula compressor as an option. The day we get an 1176 will be a fine day indeed. While fine tuning some of the programs, I thought some of you D*x drum punch fans might like to hear this. rhythminmind wrote: While fine tuning some of the programs, I thought some of you D*x drum punch fans might like to hear this. I'll be working on some better audio demos shortly. Last edited by rhythminmind on Tue Nov 30, 2010 6:41 am, edited 1 time in total.